The Young and the Restless (Y&R) spoilers tease that some stunning moments are coming up on the CBS soap. Y&R fans won’t want to miss the looming drama. Let’s take a look at some major shockers and consider how they’ll blow up Genoa City. Scott (Daniel Hall) made it clear that he finds Abby (Melissa Ordway) sexually desirable, but he’s not willing to leave Sharon (Sharon Case) for her. However, Scott won’t be able to resist a passionate kiss with Abby next week. During a heated argument, the forbidden lovers will lock lips. Unfortunately, Faith (Alyvia Alyn Lind) will witness the steamy incident. She’ll be worried about her mom’s romance, so it’s only a matter of time until she updates Mariah (Camryn Grimes). Y&R’s been keeping Mariah involved in this storyline for a reason. It sounds like Mariah will have to make a tough decision. The thought of breaking Sharon’s heart is devastating, but so is letting her get hurt. 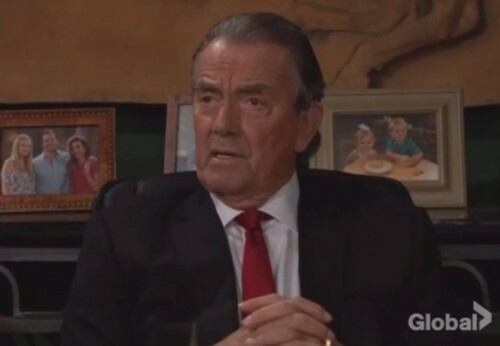 Victor (Eric Braeden) is facing several significant threats. He’ll have to worry about keeping Kevin (Greg Rikaart) quiet and stopping Tessa’s (Cait Fairbanks) potential digging. Victor will also try to keep Newman Enterprises afloat and get Paul (Doug Davidson) off his back. Nick (Joshua Morrow) and Nikki (Melody Thomas Scott) intend to cause problems for Victor as well. The Chancellor Park battle really has them riled up. Between the police investigation and all the other nuisances, there’s no way Victor can emerge from the chaos unscathed. Of course, Paul typically needs some help to solve crimes and plot downfalls. He recently called someone in hopes of bringing in backup. Will J.T. (Thad Luckinbell) be just the man for the job? 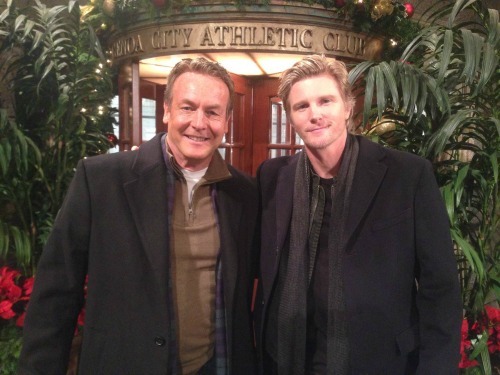 The Young and the Restless spoilers say Thad Luckinbell kicks off a return arc next week. Maybe J.T. will join his buddy to make Victor pay. J.T. used to assist Paul with investigations, so this is fun opportunity for Y&R teamwork. The Young and the Restless spoilers hint that we’ll see some fantastic scenes soon. We’ll keep you posted as other news comes in. Stay tuned to Y&R and don’t forget to check CDL often for the latest Young and the Restless spoilers, updates and news.